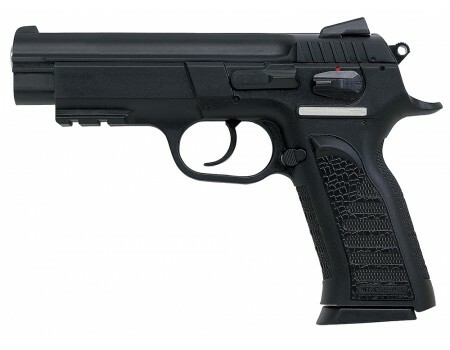 Witness Polymer Full Size pistol makes a great carry gun as well as being enjoyable to shoot. It is available in calibers that can knock down an assailants and utilizes high-capacity magazines. The Witness includes an integral accessory rail on a strong but lightweight polymer frame. Each features a low-profile windage sight and maintains a comfortable grip.